Mavis was eleven when the war started. 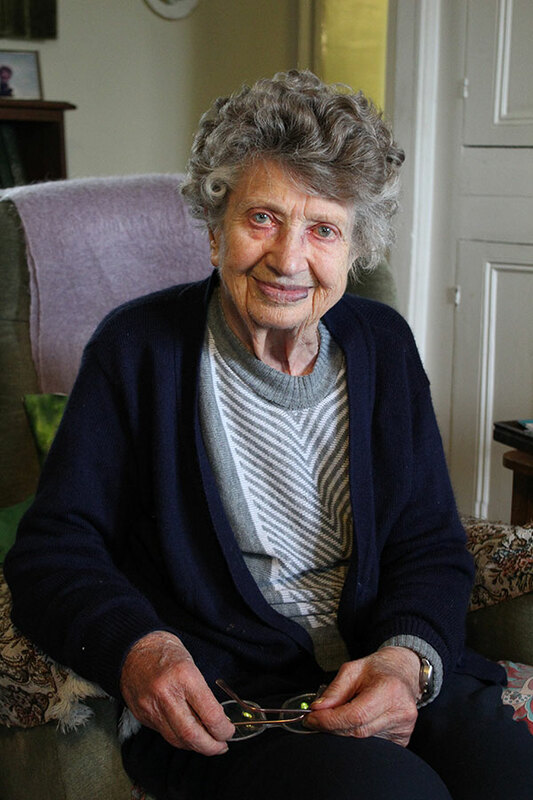 She lived on the outskirts of Axminster with her mother and remembers perhaps a bomb dropping in a nearby field, but also recalls the back door being sprayed with bullets. This could refer to the plane that crashed and exploded in a nearby field, recollected in another account for the project. Being so young, she remembers her mother protecting her from the wartime goings on but she recalls rationing and the soldiers in the town.